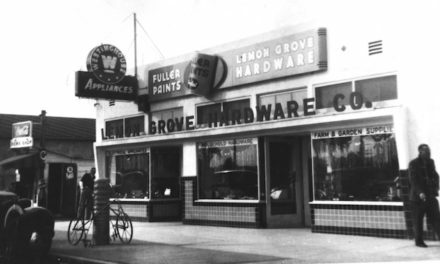 At age 40 in political years (125 since official naming), Lemon Grove is looking back at its noble agrarian past and its unique persona as an urban-rural enclave, and wiping away a few tears. Because once there were cows. As recently as 1983, 300 cows roamed a 16-acre dairy smack in the middle of town. You could see, hear and smell the cows of Miller Dairy everywhere. At dawn, around 5 a.m., you could hear them lowing in their stalls as the Miller sons, Ralph, Ed, Pete and Bill, washed and dried teats, washed their hands, and milked each Holstein for five to seven minutes. At dusk, around 5 p.m., you could hear the jangle of cow bells as the herd walked back into the barn for a repeat performance. Later, of course, the dairy installed milking machines, huge steel vats and pasteurization, but the human factor remained the same. The Millers tended their cows to a fare-thee-well. You could get a job forking hay, shoveling manure, fixing fences, delivering milk or selling products in the dairy store. You could pile the kids in the back seat of the Woodie, pull in over the trip wire connected to the Knipp Service Signal bell that summoned the clerk, and buy your whole dairy order, ice cream, too, at the drive-in window. Little did Charles Miller realize he was creating a bastion of Americana that would inspire songs, poetry, the undying love of Lemon Grovians and East County residents, and a haven in a hostile world. Earnest Charles Miller, the grandfather of the clan, had arrived in Lemon Grove from Ohio in the spring of 1893 to buy 10 acres for $950 and set up his own nursery. Like other well-known local horticulturists, such as Eduardo Treganza, he budded and grafted many of the citrus trees still living today in town. He died in 1901. His son, Charles C. Miller, arrived in 1910 from Cleveland with his young wife Catherine. They relocated to California for the same reason countless others trekked West — she suffered from asthma and needed the dry, gentle climate of the Golden State. Charles got a job as foreman of the lemon pickers with the Lemon Grove Fruit Growers Association. Then he worked for the Good Dairy on North Avenue, then for a nearby nursery until another worker went berserk and tried to kill him with an axe. That did it. He hired on at Sonka Bros’ General Merchandise as a clerk and delivery man. By World War I, Lemon Grove was “a sea of lemon trees.” Folks raised fruits and vegetables, and kept chickens, geese, rabbits and cows. Catherine Miller got a cow to save the shopping trip, often on foot, down the hill from their Golden Avenue home, across the train tracks to Sonka Bros’ Store on Main Street and back again. Her cow was prolific. There was more than enough milk morning and evening for the five Miller kids (Florence, Hubert, Edward, Ralph and William). You can see how great ideas evolve. Why not bottle and sell the pure, organic real deal to the neighbors? Charles added three more cows and Miller Dairy was born. The year was 1926. Needing more room, in 1927 the Millers moved to 143 Mt. Vernon Street, Route 3, Box 768, a five-acre spread with a two-story clapboard house, orange, lemon and grapefruit trees, plenty of room for more cows, all bordering the new Monterey Heights subdivision. In the 1930s, when the Lemon Grove post office instituted new house numbers, the Miller home became 7953 Mt. Vernon. By this time, the car was ascendant across America. In 1928 Main Street was paved for the first time. Other local streets remained dirt, dusty in summer and muddy in winter, but by 1935 the county started oiling the roads to make life better for motorists. This helped the Millers who had started delivering milk in Ford trucks all over town and East County. During Lemon Grove’s agricultural heyday, 15 dairies thrived in the area. In town was the W. L. K. Good Dairy on North Avenue, with the Humphrey, Beech and Hamilton Dairies close by. But the largest and longest-lived was Miller Dairy with some 20 acres, pens, milk barn, maternity barn (cows must have calves to keep producing milk), giant stacks of hay bales and retail store. At the dairy’s height, the Millers milked 300 cows and produced 2,500 gallons daily. The operation evolved from milk put in individual steel milk cans to huge, stainless steel holding tanks—and from hand milking to automation. Miller cows were happy cows. They were never confined in the feedlots that are the fate of hapless contemporary cows. They wandered at will around the ranch. They ate, but most of all, they lay down and ruminated. Cows love to lie down. Their caregivers kept them clean, trimmed, well-fed, healthy and productive. Result: Milk and adjacent products that consistently won awards and gave joy to thousands of customers. During World War II, commercial milk was scarce, and people all over the area depended on Miller Dairy for milk. Ed Miller ran the office. Bill and Ralph Miller ran the creamery. Pete Miller was the animal husbandry expert. Bill was milking on Dec. 7, 1941 when the barn radio blared, “Pearl Harbor has been bombed!” “Where in hell is Pearl Harbor?” he asked. He and brother Ralph would soon find out. Both enlisted in the Army Air Force and lived to tell the tale. They came home to a changed world—but the dairy lived. Throughout its life, the dairy left almost no carbon footprint. Hay for the cows was delivered from local farms; people carted away free manure by the sack or truckload; customers returned bottles to the dairy store and picked up fresh ones, or left them on the doorstep with an order form tucked inside for one of the Miller boys, who arrived at dawn in sparkling white shirt and pants in a gleaming white Divco truck. 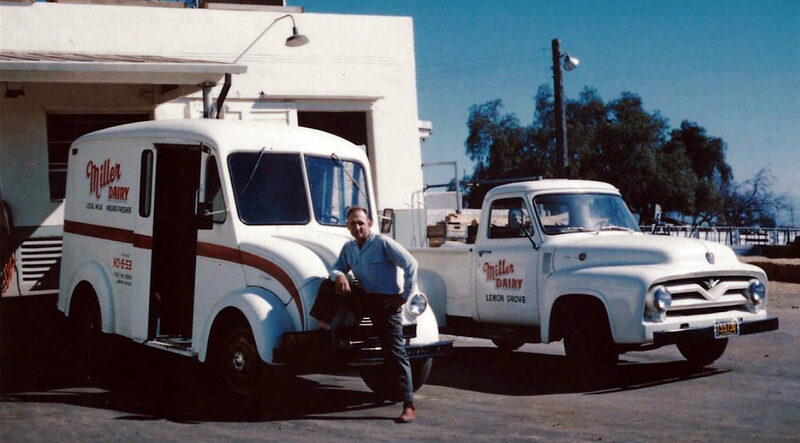 Miller Dairy was the sole supplier of milk for school lunches in the Lemon Grove School District from 1926 into the late 1970s. In the 1960s the glass pint bottles were replaced with little, plastic-coated containers with flip-up spouts, and the quart and half gallon bottles also gave way to plastic-coated containers in bright red with the familiar Miller Dairy logo and beaming sun face. Change came to the dairy in the 1950s as the automobile altered modern life forever. The Millers instituted a drive-through pick-up window for milk, whipping cream, buttermilk, farmer cheese, sour cream, yogurt, butter, ice cream and fresh local eggs. The construction of Skyline Drive, a major north-south artery through Lemon Grove, reduced the dairy from 20 to just over 16 acres. The cars, like the houses, kept on a-comin’ until the dairy was ringed with urban development. The Miller boys grew older. 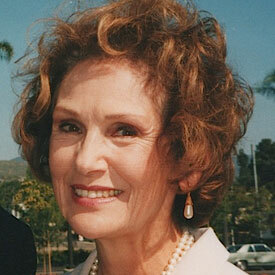 Their children and grandchildren grew up to work in law, medicine, education, business and industry. But not milking cows. But the rural roots of Lemon Grove remained part of the local psyche. Today, most Lemon Grove yards have venerable citrus trees, and as many have treasured Miller Dairy milk bottles. True, they show up for sale on eBay, Facebook and Craig’s List, but, for the most part, they stay put as a reminder that once there were cows. The huge milk industry tied to agribusiness and supermarkets ultimately spelled doom for family dairies nationwide. Miller Dairy began closing in 1983. In 1984 the Lemon Grove City Council approved the plans of Westana Development Corp. to build 138 homes for $14 million on the dairy site. At the end of January, 1985 the last of 300 cows were sent to a dairy near Chino, CA and the lone bull shipped to an uncertain fate on the U. S. -Mexico border. An unexpected casualty of the sale was displaced cats. Most females were pregnant and all were feral, hungry and endangered now that their rodent-hunting days at the dairy were over. For years, folks had silently dropped off boxes of kittens at the drive-up store. The kittens were fed milk twice a day, but grew up wild and were tough to capture. Pet Assistance, Mercy Crusade and Friends of Cats tried to find homes for them. Lemon Grove’s sole veterinarian (later its mayor), Dr. Robert Burns, praised the Millers for caring for cast-off pet cats and provided free spay/neuter to prepare dairy cats for adoption. Don’t cry because the milk train doesn’t stop here any more. Just be glad that once upon a time there were cows. You can see the story of Miller Dairy in the Parsonage Museum, 3185 Olive, Lemon Grove on Saturdays from 11 a.m. to 2 p.m. (call 619-460-4353 to set a weekday time for your class or tour group).